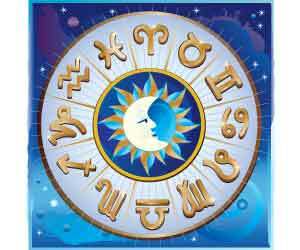 As with all other services, there are also some rules for using 0800-horoscope.com. We want this site to be an enjoyable and safe experience. 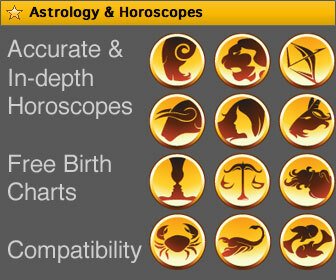 Please read these terms and conditions for using 0800-horoscope.com. 1.1 This agreement governs your use of the 0800-horoscope.com Site (the "Service"), including the interactive chat and discussion areas (the "Interactive Areas"), which is operated by Jochen Savelberg and Euregio.Net AG (the "Company"). Additional terms and conditions of use applicable to specific areas of the Service may also be posted in such areas and, together with this agreement, govern your use of those areas. This agreement, together with any such additional term and conditions, are referred to as this "Agreement." 1.2 Company reserves the right, in its discretion, to change or modify all or any part of this Agreement at any time, effective immediately upon notice published on the Service. Your continued use of the Service constitutes your binding acceptance of these terms and conditions, including any changes or modifications made by Company as permitted above. If at any time the terms and conditions of this Agreement are no longer acceptable to you, you should immediately cease all use of the Service. 2.1 You acknowledge that the Service contains information, software, photographs, audio and video clips, graphics, links, HTML code and other material (collectively, the "Content") that are protected by copyright, trademark or other proprietary rights of Company or third parties. All Content on the Service is copyrighted as a collective work of Company pursuant to applicable copyright law. You agree to comply with any additional copyright notices, information, or restrictions contained in any Content available on or accessed through the Service. Users of the Service may use the Content only for their personal, noncommercial use. 2.2 You may not modify, publish, transmit, transfer or sell, reproduce, create derivative works from, distribute, perform, display, or in any way exploit any of the Content, in whole or in part, except as expressly permitted in this Agreement. Content consisting of downloadable software may not be reverse engineered unless specifically authorized by the owner of the software's patent and/or copyright. You may post on the Service any Content owned by you (such as your original statements), Content for which you have received express permission from the owner and Content in the public domain. You assume all risk and responsibility for determining whether any Content is in the public domain. You grant to Company the right to edit, copy, publish, distribute, translate and otherwise use in any medium any Content that you place on the Service without compensation to you. You represent and warrant that you are authorized to grant all rights set forth in the preceding sentence. 2.3 You may download or copy the Content only for your own personal use, provided that you maintain all copyright and other notices contained in such Content. You shall not store electronically any significant portion of any Content. Except as expressly permitted by the copyright laws, no copying, storage, redistribution or publication of any Content is permitted without the express permission of Company or the owners of such Content or their authorized persons, if other than Company. You may download from the Service any Content in the public domain for your own personal use or for non-commercial redistribution. 3. Rules of Conduct. You shall not post on the Service any Content which (a) is libelous, defamatory, obscene, pornographic, abusive, harassing or threatening, (b) contains viruses or other contaminating or destructive features, (c) violates the rights of others, such as Content which infringes any copyright, trademark, patent, trade secret or violates any right of privacy or publicity, or (d) otherwise violates any applicable law. You may not post on the Service any links to any external Internet sites that are obscene or pornographic. You shall not use the Service for any commercial purpose, to distribute any advertising or solicitation of funds or goods and services or to solicit users to join competitive online services. 4. Managing Content. Company does not and cannot review the Content posted by users on the Service and is not responsible for such Content. However, Company reserves the right to delete, move or edit any Content (including Content posted in any Interactive Area) that it may determine, in its sole discretion, violates this Agreement or is otherwise unacceptable. You shall remain solely responsible for all Content posted by you. Company shall have the right, but not the obligation, to correct any errors or omissions in any Content, as it may determine in its sole discretion. Company reserves the right to contact users of the Service about problems, changes or additions on the Service. 5.1 Company does not represent or endorse the accuracy or reliability of any Content posted on any Interactive Area and you acknowledge that any reliance upon such Content shall be at your sole risk. Any Content placed on any Interactive Area by users are the views of the user posting the statement, and do not represent the views of Company. 5.2 The Service may contain links to sites on the Internet which are owned and operated by third parties (the "External Sites"). You acknowledge that Company is not responsible for the availability of, or the content located on or through, any External Site. You should contact the site administrator or Webmaster for those External Sites if you have any concerns regarding such links or the content located on such External Sites. 6. Indemnity. You agree to indemnify, defend and hold Company and its affiliates, and their respective officers, directors, owners, agents, information providers and licensors (collectively, the "Company Parties") harmless from and against any and all claims, liability, losses, costs and expenses (including attorneys' fees) incurred by any Company Party in connection with any use or alleged use of the Service under your password by any person, whether or not authorized by you. Company reserves the right, at its own expense, to assume the exclusive defense and control of any matter otherwise subject to indemnification by you, and in such case, you agree to cooperate with Company's defense of such claim. 7. Termination of Service. Company reserves the right, in its sole discretion, to restrict, suspend or terminate your access to all or any part of the Service, including the Interactive Areas, at any time for any reason without prior notice or liability. Company may change, suspend or discontinue all or any aspect of the Service at any time, including the availability of any feature, database, or Content (including the Interactive Areas), without prior notice or liability. 8. DISCLAIMER OF WARRANTIES; LIMITATION OF LIABILITY. 8.1 NEITHER COMPANY NOR ANY PROVIDER OF THIRD PARTY CONTENT OR THEIR RESPECTIVE AGENTS WARRANTS THAT THE SERVICE WILL BE UNINTERRUPTED OR ERROR FREE; NOR DOES COMPANY, ANY THIRD PARTY CONTENT PROVIDER, OR THEIR RESPECTIVE AGENTS MAKE ANY WARRANTY AS TO THE RESULTS TO BE OBTAINED FROM USE OF THE SERVICE OR THE CONTENT. THE SERVICE AND THE CONTENT ARE DISTRIBUTED ON AN "AS IS, AS AVAILABLE" BASIS. NONE OF COMPANY, THIRD PARTY CONTENT PROVIDERS AND THEIR RESPECTIVE AGENTS MAKE ANY WARRANTIES OF ANY KIND, EITHER EXPRESS OR IMPLIED, INCLUDING, WITHOUT LIMITATION, WARRANTIES OF TITLE OR IMPLIED WARRANTIES OF MERCHANTABILITY OR FITNESS FOR A PARTICULAR PURPOSE, WITH RESPECT TO THE SERVICE, ANY CONTENT OR ANY PRODUCTS OR SERVICES SOLD THROUGH THE SERVICE. NEITHER COMPANY NOR ANY THIRD PARTY CONTENT PROVIDER WARRANTS THAT ANY FILES AVAILABLE FOR DOWNLOADING THROUGH THE SERVICE WILL BE FREE OF VIRUSES OR SIMILAR CONTAMINATION OR DESTRUCTIVE FEATURES. YOU EXPRESSLY AGREE THAT THE ENTIRE RISK AS TO THE QUALITY AND PERFORMANCE OF THE SERVICE AND THE ACCURACY OR COMPLETENESS OF THE CONTENT IS ASSUMED SOLELY BY YOU. 8.2 NEITHER COMPANY, ANY THIRD PARTY CONTENT PROVIDER NOR THEIR RESPECTIVE AGENTS SHALL BE LIABLE FOR ANY DIRECT, INDIRECT, INCIDENTAL, SPECIAL OR CONSEQUENTIAL DAMAGES ARISING OUT OF THE USE OF OR INABILITY TO USE THE SERVICE, EVEN IF SUCH PARTY HAS BEEN ADVISED OF THE POSSIBILITY OF SUCH DAMAGES. 8.3 SOME STATES DO NOT ALLOW EXCLUSION OF IMPLIED WARRANTIES OR LIMITATION OF LIABILITY FOR INCIDENTAL OR CONSEQUENTIAL DAMAGES, SO THE ABOVE LIMITATIONS OR EXCLUSIONS MAY NOT APPLY TO YOU. IN SUCH STATES, THE LIABILITY OF COMPANY, THIRD PARTY CONTENT PROVIDERS AND THEIR RESPECTIVE AGENTS SHALL BE LIMITED TO THE GREATEST EXTENT PERMITTED BY LAW. 9. Miscellaneous. This Agreement shall be construed in accordance with the laws of Belgium, and the parties irrevocably consent to bring any action to enforce this Agreement in the courts located in Eupen, Belgium. This Agreement constitutes the entire agreement between the parties with respect to the subject matter hereof, and supersedes all previous written or oral agreements between the parties with respect to such subject matter. If any inconsistency exists between the terms of this agreement and any additional terms and conditions posted on the Service, such terms shall be interpreted as to eliminate any inconsistency, if possible, and otherwise, the additional terms and conditions shall control. Sections 2, 3, 6, 8, and 9 shall survive any termination of this Agreement as well as any other provisions which by their terms or sense are intended to survive.